Which country has the best cyclists? What countries cyclists are the fastest, climb the most elevation, spin the fastest, or puts out the most power? 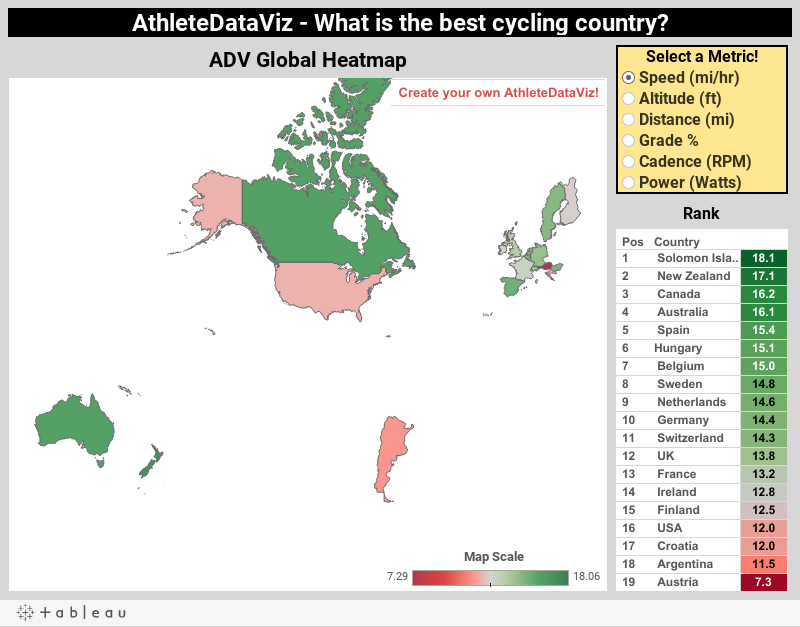 Let's use anonymous data from the AthleteDataViz design platform to find out! The global ADV heatmap tells us everything we want to know! Move over, USA. Hello, Austril-Asia! The Spaniards know how to take a long ride. Hungary is one enormous mountain. Finland is light on the pedals. New Zealand - straight crushing it! What metrics do you want to see compared among countries, states, and athletes? Let us know in the comments!